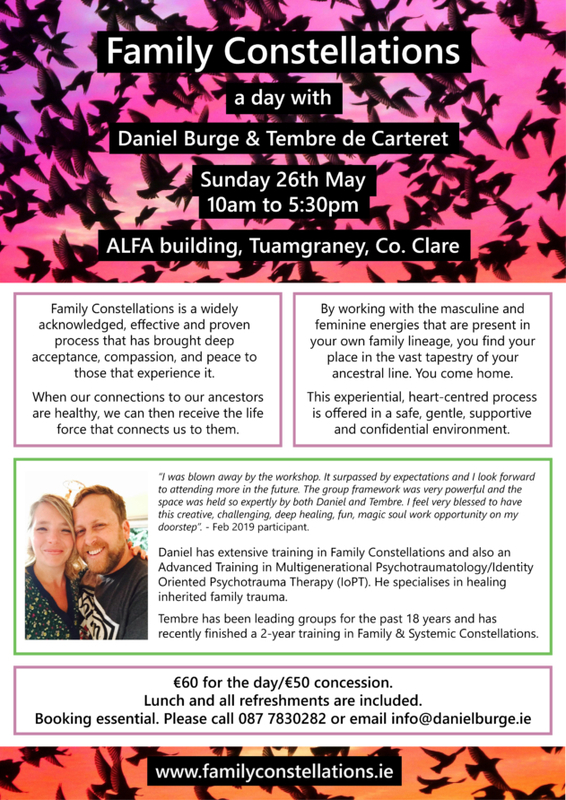 I’m delighted to announce that I will be running a further Family Constellations day with my partner Tembre de Carteret in Co. Clare on Sunday 26th May. Please contact us for details. Booking essential.